Charles Bilger Spalding was an equestrian and sporting painter who lived variously at Reading (where he was baptised at the church of St. Giles on 22nd August 1810), Brighton and London and who seems to have been regularly itinerant. He was an occasional exhibitor at the Royal Academy from 1840 to 1849, but most of his work was for rural gentry in the prosperous south-east of England. 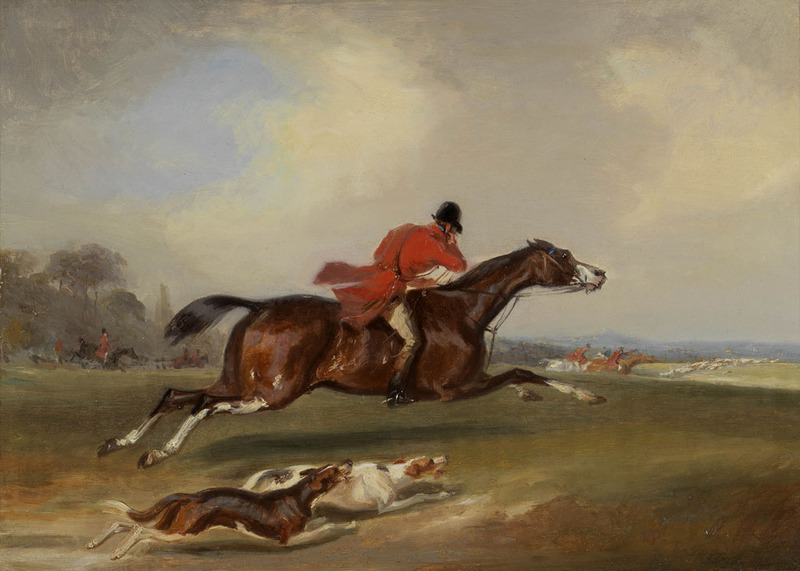 His masterpiece is the large “Meet of the Hambledon Hounds at Preshaw House, Warnford” (1844: canvas 40 x 67 inches) which was engraved by Day & sons. His pictures were occasionally engraved for the New Sporting Magazine. Spalding signed his pictures only infrequently, and in consequence they have tended to be attributed to other sporting artists, notably James Barenger, whose style is close. Spalding's brushwork, though, is somewhat freer, even if the palette is virtually identical. We are grateful to David Fuller of the British Sporting Art Trust for confirming that these paintings are by Spalding.